The first sticker we made. 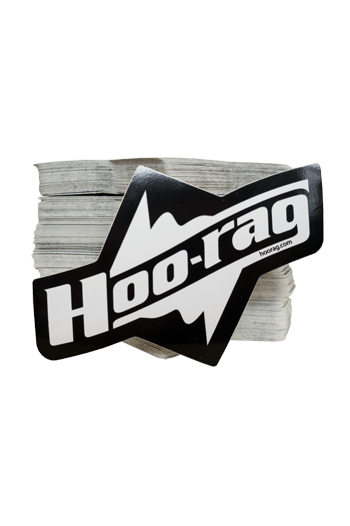 Slap these puppies on your vehicle, snowboard, mountain bike, surfboard, tackle box, boat, jet ski or forehead and let the world know that you ‘Rock The Rag’! Want to win some FREE Schwag? Send us cool pics to social@hoorag.com with the Hoo-rag UV sticker in weird or awesome places and we may reward you with something fun! Please put ‘Sticker Picker’ in the subject line. I love the look and they last a long time! Great way to show you “Rock the Rag”! UV resistant, Tested and Approved by #LuskFishing .